Home » What is Gas Oil used for and why? Gas oil is a fuel that is cheaper than normal road diesel due to it being a rebated fuel used for heating, vehicles, machinery in the construction and agricultural sector. Gas oil should never be used in any vehicles on public roads. There is a red dye added to the fuel to help the police and VOSA identify the difference between normal road diesel and the rebated fuel. Gas oil has many different names some to include: red diesel, cherry, 35 seconds, heating oil just to name a few. Sometimes there’s confusion about gas oil and normal automotive, white diesel fuel. Regarding its chemical make-up, there is no difference at all apart from the fact that red dye has been added to the fuel to differentiate it. Gas oil is also often used by travelling fairs and carnivals to power their generators, and it’s also sometimes used in the aviation industry to power jet engines, but normally the aviation industry uses a form of kerosene. Gas Oil offers a cost effective alternative to other fuels and it doesn’t carry the same levies on tax as white diesel. However, don’t be mistaken into believing that you can use gas oil in your normal on-the-road vehicle. If you are caught doing this, then you could face a heavy fine. Because it is subject to much lower taxes, it is only meant for specific agricultural and construction vehicles and machinery. If you are unsure about what types of vehicles you can use gas oil in then, please get in touch. We would be happy to advise you on how you can use this fuel legally and save money on your fuel costs. Give us a quick call now on 0800 917 7493 and speak with one of our team about your gas oil or lubricants needs and requirements. 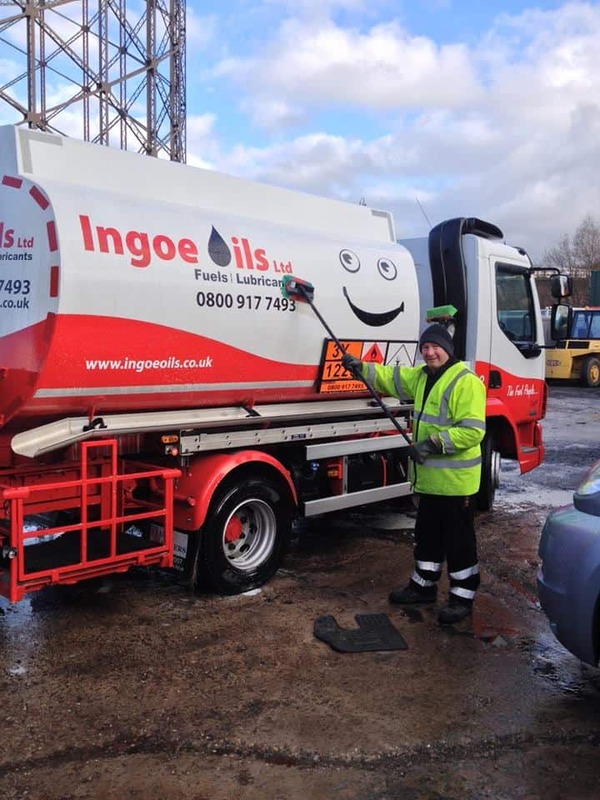 Ingoe Oils has a comprehensive fleet of tankers which has been proven to deal with any situation. Our baby tanker supplies farms and domestic customers throughout the nation giving Ingoe Oils a reputation for consistent and professional service. We also have the capacity to deliver nationally on the same day or the next day in emergencies and our drivers often extend their days to make that possible. If you would like to learn more, then please see HMRC info by clicking here.